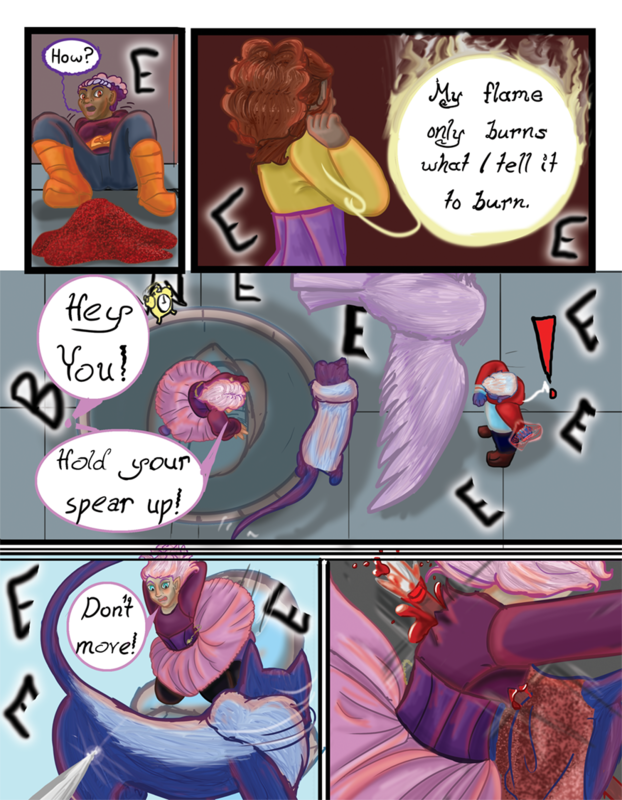 Chapter 08 - Alarm - "Chapter 8 Page 25"
I’m pretty pleased with this page! It took a while but I dig it. Help keep Blessings alive on Patreon! Luxa: My flame only burns what I tell it to burn. Siyav: Hey you! Hold your spear up!